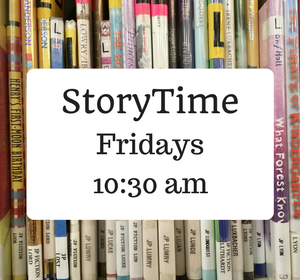 Join us on Friday mornings at 10:30am for Preschool StoryTime, our story time designed for children 3 to 5 years old and their caregivers! We’ll build the social and literacy skills necessary for children about to enter school by sharing stories, songs, rhymes, and crafts. Centered around the Every Child Ready to Read principles, we’ll learn as we read, write, sing, talk, and play.